Beloved Long Island punks Latterman have reunited a handful of times in recent years, though their shows remain few and far between, and they’ve announced what appear to be their first live dates since 2016. 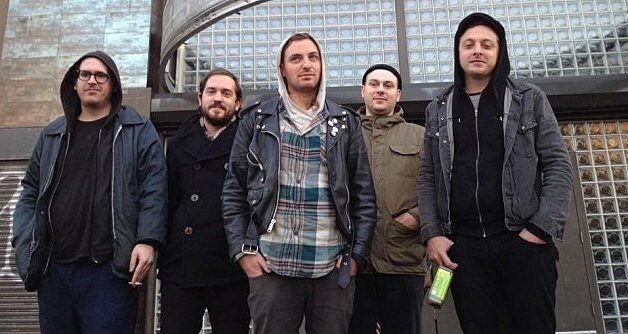 Right before playing Long Island’s Wild Fest (day one with The Backup Plan, Mikey Erg, Latex Generation, and more), they play Philly’s Boot & Saddle on August 7 with Slingshot Dakota and Big Nothing (tickets) and Brooklyn’s Saint Vitus on August 8 with openers presumably TBA (tickets). Those are their only announced dates at the moment. Stream Latterman’s 2005 album No Matter Where We Go..! below. Meanwhile, Tender Defender (who have three members of Latterman and basically pick up where Latterman left off) have two NYC shows happening sooner: July 15 at Coney Island Baby with Choked Up and Fat Heaven (tickets), and July 21 at Brooklyn Bazaar Cellar with Shellshag and Cutters (tickets).